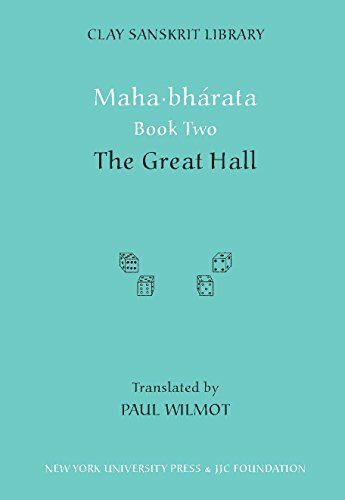 The Great Hall relates some of the most seminal events of the epic, culminating in the famous game of dice between the Pándavas and the Káuravas. The Pándavas, happily settled in Indra·prastha, enjoy one glorious success after another. Yudhi·shthira, after erecting the most magnificent hall on earth, decides to perform the Royal Consecration Sacrifice, which will raise his status to that of the world's greatest sovereign. His brothers travel far and wide and conquer all known kingdoms. Yet just when the Pándavas are beginning to seem invincible, Yudhi·shthira mysteriously gambles everything away in a fateful game of dice to his cousin Duryódhana.